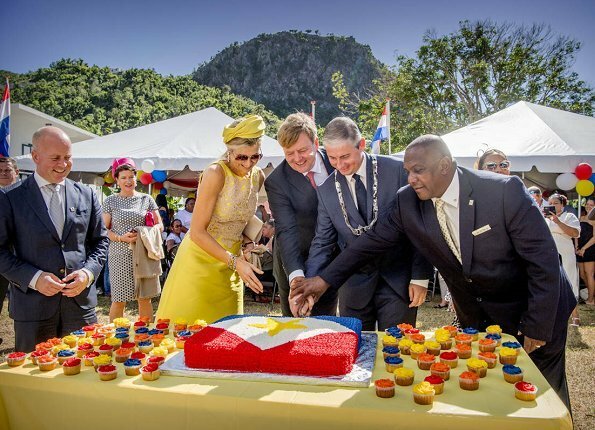 On December 01, 2017, King Willem-Alexander and Queen Maxima of The Netherlands attended the annual celebrations of Saba Day in the capital of Saba, The Bottom. Saba Day, is the national day of the island in which all offices, schools and stores are closed. 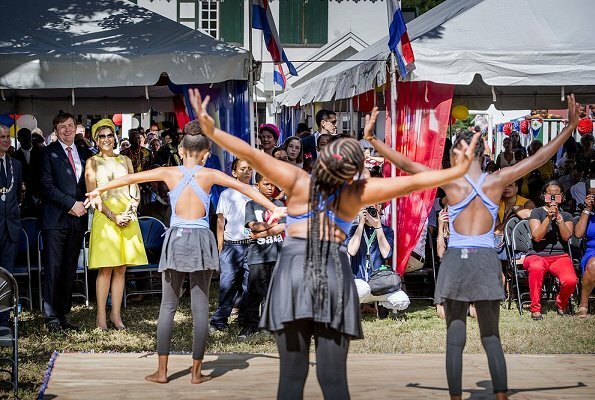 The island celebrates its diversity and culture through various activities and parades. 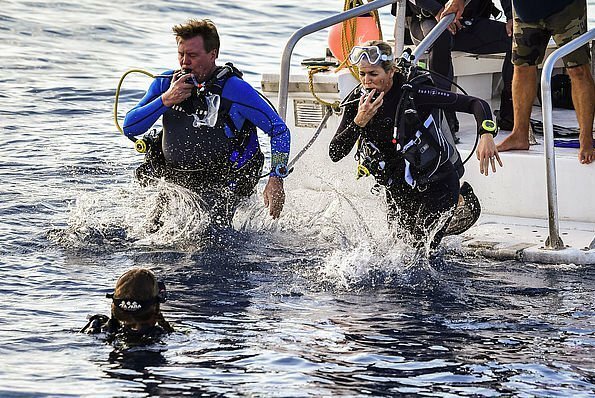 The King and the Queen will visit Saint Martin island on December 2. 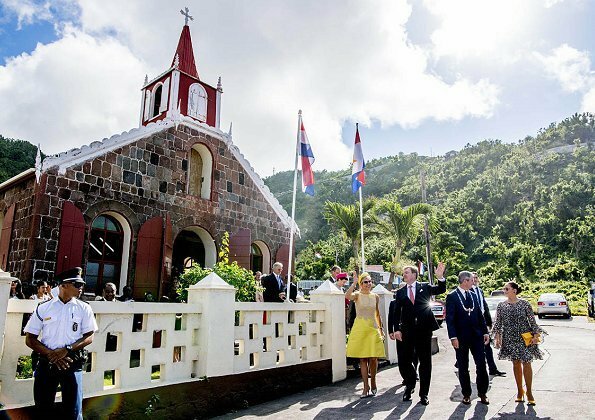 King Willem-Alexander and Queen Maxima of the Netherlands attended a dinner at the Juliana Hotel Tropics Cafe, on the second day of the 3-day visit to Caribean islands St. Eustatius, Saba and Saint Martin. What does she need gloves for? 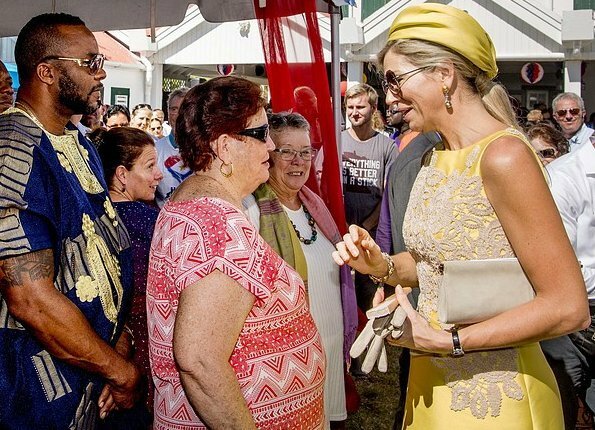 I find Máxima terribly overdressed for the climate and occasion, obviously she is the queen, and well known for her over the top style, but personally I find the outfit inadequate. She looks amazing, very nice outfits. Unbelievable how some complain about nothing. Sad if you’re not able to see how much effort she puts in her job and radiance. Too much, please. Don’t make me laugh. I totally agree. She always looks amazing, no matter what she wears. Rotterdam NL, this is a blog about fashion, when I express my opinion in a respectful manner, it is about clothes and style, but not a judgement on the person. You should follow suit and not criticize other opinions simply because you don't agree. That being said and just to clarify, a person can wear the most fantastic boots in the snow and the cutest sandals at the beach, but if the footwear was reversed, the result would be ridiculous, a big part of elegance is wearing the appropriate outfit for the occasion, and that was the point I was trying to make, not a complaint. I quite like the yellow dress minus head thing but much prefer the pale pink. I especially like the more informal moments when we see them interacting as a couple. Sweet! Love it. However yellow is not the best color for her, shes blond.